Small spaces? No problem. Here are a couple products to help with that, design tips courtesy of Michelle Havens, Environment Director at Habitation Furnishing + Design. 1. Double Up: Limited rooms? Carve out an office, using a multi-function piece of furniture. 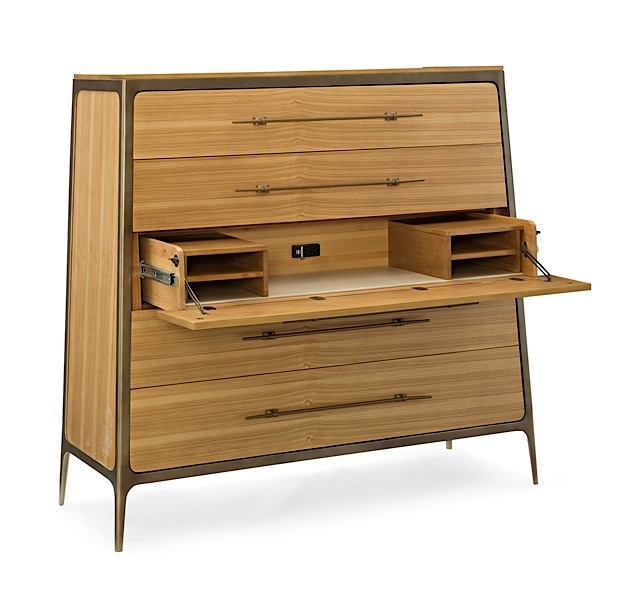 A chest of drawers with a fold-down desk gives office space and you can hide the chaos by simply shutting the top. 2. Clever Design: Maximize your space by utilizing cleverly designed furniture pieces. A Cabinetbed is not only handsome, it uses a very small footprint in your home. A self-contained queen size bed, housed in a stunning, clean cabinet. This piece will send your guests into the best night’s sleep. The only drawback is that they may never want to leave! For more tips on how to best use small spaces, visit Habitation’s showroom in St. Louis Park.